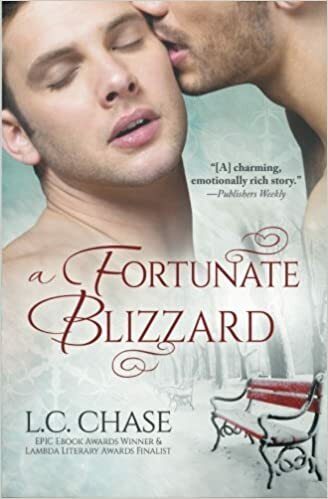 I’ve enjoyed a few novels from L.C.Chase before so know I enjoy her writing style and this one sounded interesting. Its an unusual scenario with Trevor facing end stage kidney disease. Making a romance with someone terminally ill is tough, but LC does it and doesn’t go the obvious route either. Its touched on, but would have been just too cheesy, too unbelievable if that had worked out , so I’m glad she chose a different solution. That made the story better too because it drew in how Marc had been living, how he’d been letting his past issues with his mother dominate his life, and brought forward some other characters into the story. As Trevor says – and of course means – Life is for Living. When I was diagnosed with cancer, and told the outlook wasn’t good it made me think. I saw and talked to other patients for whom that phrase took on a new meaning, and it made me too look to what my priorities were in life. 20 years on I’ve relaxed a bit but still keep in mind how short life can be. Its so easy to do as Marc was, work all hours, promising that “one day “ we’ll have time to do XYZ. That time isn’t always there, each hour, each day, each week that passes can’t be got back and given a do over, and so many discover like Trevor that the time they thought they still had could be severely reduced. The story is a beautiful and tender romance, and so realistic. Trevor is in a place so many others are ( and as an AB neg blood group I hope I’m never in his type of need) and meeting Marc seemed like a cruel twist of fate at first. Slowly though things fall into place, and even though we’re dealing with a sad issue there’s moments of lightness in it, snippets of beauty and a real feeling of satisfaction when I reached the ending. Its not a long read at 175 pages but one to savour and enjoy. Stars: five, a great read, and a tender romance.